Ireland’s Ballymaloe Cookery School is a renowned training ground for excellent chefs and bakers. 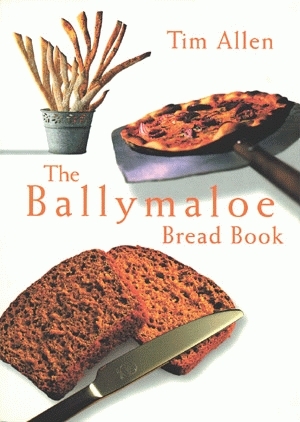 Now, readers can reap the benefits of world-class tutelage in the art of baking at home with The Ballymaloe Bread Book. School cofounder Chef Allen shares his expertise in all aspects of breadmaking, from yeast breads and rolls to quick breads and scones. Some examples are Spotted Dog (and its variation, Stripy Cat), Focaccia, Hot Cross Buns, Naan, Malted Sourdough, and especially the famous Ballymaloe Brown Yeast Bread. Allen even includes several classic accompaniments, like Raspberry Jam and Isaac’s Roasted Tomato Sauce. More than just a volume of recipes, The Ballymaloe Bread Book demonstrates basic principles and useful techniques, so at-home bakers can experiment and expand their repertoire with confidence. Chef Allen, together with his wife, Darina Allen, owns, manages, and teaches at the famous Ballymaloe Cookery School in County Cork, Ireland. Other Pelican books that celebrate the cuisine of Ballymaloe are A Simply Delicious Irish Christmas and Darina Allen’s Ballymaloe Cooking School Cookbook, both by Darina Allen.